Officially, there's no such thing as a canine formulation of Zantac. Although this medication is primarily used to treat people, it used to treat dogs, cats, and horses as well. Zantac is actually the commercial name for a drug called Ranitidine. Ranitidine belongs to a group of drugs known as H2 receptor antagonists. As an H2 receptor antagonist, Zantac is traditionally used to treat stomach ulcers by reducing the amount of acid produced in the chamber. This can help heal active ulcers as well as prevent new lesions from forming. The drug is also used to treat cases of acid reflux, gastritis and other inflammations of the esophagus and digestive tract. Zantac is used to treat the same kind of stomach and esophageal problems in dogs as in people. It helps to treat ulcers in the esophagus and stomach as well as preventing them from developing. It is also used to treat excess stomach acid as a side effect in dogs with mast cell tumors and gastrinoma. It is also used to help dogs with vomiting. Zantac is not used with dogs as often as other stomach acid drugs such as Pepcid (famotidine), Protonix (pantoprazole) and Prilosec (omeprazole) as studies have found it is far less effective in treating excess gastric acid. Pepcid and Tagamet (cimetidine) are over-the-counter medications used for stomach upset in dogs more often than Zantac as they are known to achieve better results. Some owners are also interested in using Zantac as a preventative measure to guard against a bout of bloat. Bloat, otherwise known as torsion, is a highly painful and life-threatening condition that is very prevalent in breeds such as German Shepherds and Poodles. Although the exact cause of torsion is not yet known, the condition produces abnormal muscle movement of the stomach during digestion. The stomach actually twists, closing itself off at its entry and exit points. This traps swallowed air, digestive acids and food particles in an enclosed environment where they begin to ferment. The stomach then begins to "bloat" from the accumulation of gases produced. It's not yet clear whether using Zantac to prevent bloat would do more harm than good, so vets are cautious about the drug's use. They do occasionally prescribe it to settle the stomach long enough for irritation to subside. A dental study conducted in 2002 suggested that using Ranitidine in an oral rinse or tablet form may also provide significant relief of gum inflammation associated with canine gingivitis. If you're going to buy ranitidine for dogs, it's important to understand that people and dogs do not share the same dosage rates. Typically, dogs will need a smaller dosage administered less often, unless the dog is exceptionally large. Generally, the ranitidine dosage is based on a dog's weight with .25 to 1mg per pound given every 8 to 12 hours, but your veterinarian should determine your actual dog's dosage to be safe. Tablets come in 75 mg, 150 mg, and 300 mg sizes although your vet can also administer it via injection. If you are considering giving Zantac to your dog, it's safer to schedule an appointment with your vet to get his/her professional opinion. 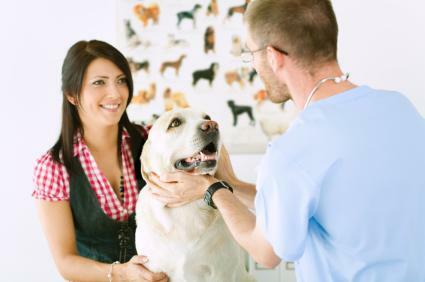 Allow your vet to diagnose your pet's abdominal discomfort and then decide on the right course of treatment. If your vet agrees to prescribe Zantac for your dog, he/she will calculate the exact dosage for your pet, as well as how often to give your dog the medication. Your vet will also caution you to give ranitidine without food and allow some time before or after food otherwise the drug will not be as effective. Ranitidine is considered safe for dogs aside from the side effects discussed. If your dog ate a Zantac 150 or Zantac 75 tablet, he may experience unpleasant symptoms such as diarrhea and vomiting. A larger dose may lead to rapid breathing, muscle tremors, and restlessness. You should contact your vet immediately to discuss the amount your dog ingested and the next steps for treatment. You can also call the Pet Poison Helpline or the ASPCA Pet Poison Hotline for a fee to discuss your dog's condition with a veterinarian. According to Pets MD, Zantac use can produce unfavorable side effects if the dog receives too much medication or is on the drug for a prolonged period. Zantac usage is not recommended for dogs previously diagnosed with kidney, liver or heart disease. It may also be problematic for pregnant dogs because it becomes concentrated in their maternal milk. Administering Zantac to pregnant or nursing dogs should only be done at the discretion of your vet. Additionally, any dog receiving this medication for a prolonged time should be monitored for possible liver damage throughout the course of treatment. Zantac may also have negative interactions with drugs such as propantheline bromide, procainamide, ketoconazole, and other antacids. Like many of the medications given to dogs, Zantac was developed for human usage. However, resourceful veterinarians often adapt human medications for use in dogs, such as found with the medication Paxil. 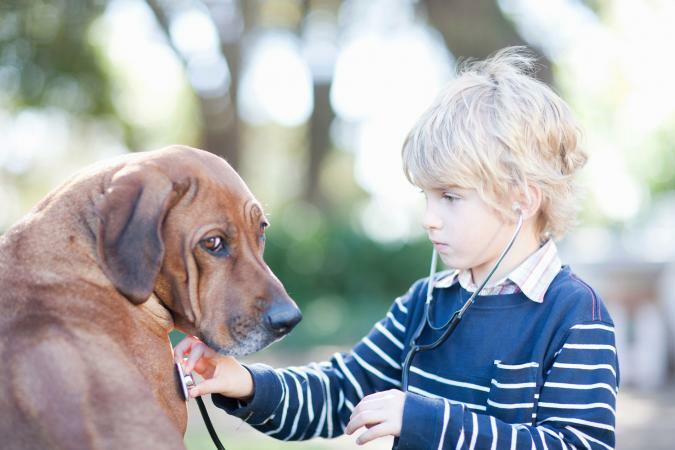 A veterinarian has the extensive training and medical knowledge to form an educated opinion about the effect a particular medication might have on your pet. 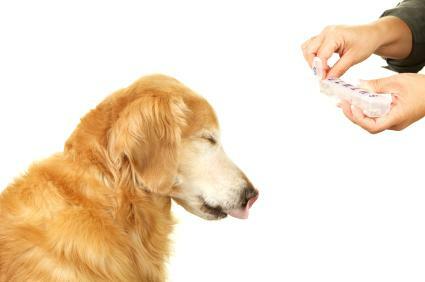 If you do ever consider sharing your medications with your pet, be sure to check with your vet first.